Miami is known for its beautifully decorated home and office interiors. Natural stone products such as travertine are popular for use as floor surfaces, sills, and thresholds. However, the only way to obtain this material at favorable prices is to purchase from a direct importer and wholesaler. Fortunately, those contractors and retailers in South Florida needing large amounts of honed finish travertine tile are just a phone call away from the best prices in town. Stonexchange, a premier importer and distributor of natural stone materials, combines experience with direct manufacturing operations to bring clients the finest quality tile on the market. We not only operate our own manufacturing facility, we import and sell our honed and filled travertine products without the use of middle-level brokers. Customers enjoy rapid delivery, excellent customer service, and even the ability to order non-standard size products when doing business with our company. Travertine tiles are produced in various parts of the world, usually at a manufacturing facility located near a quarry. Some of the best travertine comes from geologic formations in Europe, Asia, and South America. Turkey is known for its huge number of limestone deposits, and some of the most beautiful travertine tiles seen in Miami-area homes and businesses were extracted from deposits in this region of the world. The problem with travertine is its extreme weight. Even though it is a somewhat porous material, travertine is heavy and difficult to transport. It is simply not cost-effective to bring this material into the United States unless it is ordered in large quantities. International freight companies contract with shipping lines, and they charge customers by the container load. If these containers are half-full, the buyer pays the same amount in shipping charges. Stonexchange imports vast quantities of travertine on a constant basis, and in turn sells it in full-crate loads to retailers, home improvement centers, and construction contractors. 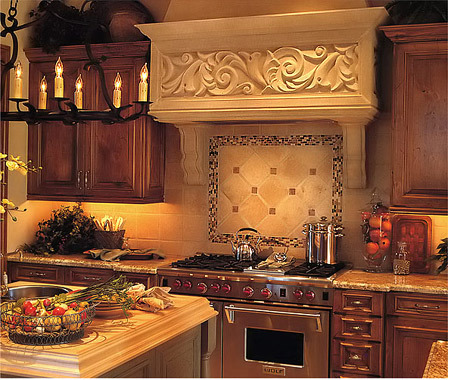 We at Stonexchange are proud to carry all of the popular styles and shades of natural stone products. In particular is our line of beige and ivory travertine. These sheets of natural stone have been expertly cut and smoothed, have been given a honed finish, are sealed to make them weather-resistant, and are delivered to our warehouse in Miami by the container load. Did we forget to mention that we own and operate our own manufacturing facility? This is where the true cost savings are realized by the commercial customer or dealer. Our clients are just one level away from the actual quarrying and fabrication process. There are no hidden markups, no resellers of product involved before the material reaches our distribution center, and no inflated prices because of exorbitant shipping fees. Stonexchange does not sell product directly to the public. Instead, we offer genuinely low wholesale prices to Miami-area contractors, flooring companies, and independent dealers. Because travertine – especially the honed and filled variety – is much in demand throughout South Florida, we have become successful in business by offering bulk quantities of this product at rock-bottom prices. Our company imports full containers of honed and filled travertine throughout the entire calendar year. Here in the Miami area, contractors are not subjected to cold, rainy winters. The building season continues on during January and February, and the demand for product is ongoing as well. Flooring companies often have trouble filling an order for hundreds of pieces of beige travertine. A resort development or large-scale condominium project bid is won by a contractor, but if he or she cannot locate a reliable source of natural stone at affordable wholesale prices, the bid itself means nothing. Not only can Stonexchange guarantee a reliable delivery schedule of travertine, we can deliver on a moment’s notice. Our warehouse is stocked to the ceiling, and we use reputable delivery companies to bring the order directly to the customer’s location. Our customer service staff is always ready to fashion an ongoing restock order for area retailers. Contractors are well aware of the difficulty in matching different sheets of travertine tile. The actual color may vary depending on from where the material was extracted. The larger the order, the easier it is to come up with a multitude of possible placement patterns. Experienced installers know that buying just enough product to cover the floor or wall of a single bathroom is, in the long run, not cost-efficient. Stonexchange offers unbeatable pricing on full-crate or full-pallet orders of honed and filled travertine tiles. These crates were once part of a full load on an ocean-going freight container. Customers will not be disappointed with the combination of high quality and low price. Honed travertine tiles are often used as a wall covering in the bathroom, as part of a kitchen backsplash, or as a tile floor in the living room. The standard 24″ X 36″ sheets are best placed on a firm substrate such as plywood that has been covered with a cement base. When properly installed with cement and grout, the finished look is absolutely stunning. Interior designers often fashion a floor covering with both tiles and inset pieces. A combination of travertine and marble can look quite marvelous so long as the colors complement each other. Beige travertine tiles look their best when the complementary shades are very dark or very light. It is also important to think about how the floor saddles, window sills, and textured walls will look when the floor is covered with a medium shade of tile. Honed and filled travertine is also commonly used as a patio surface. The highest grade of travertine stands up well against the effects of rain and high humidity. The stone needs only an occasional resealing in order for it to maintain its rustic, colorful appearance. Stonexchange has an online order request page that customers can use to get an immediate price quote. Our travertine tiles are sold as full crates only, so keep in mind that a minimum order is required. Inquiries concerning non-standard size pieces, accompanying insets and mosaics, and mixed-and-matched orders that include other stone products are always welcome. Our company does not charge extra for these custom orders. However, we may require a substantial lead time if customized mosaics or odd-size tiles are ordered. We ship direct from our Miami distribution center, and our customers enjoy quite affordable freight charges because we have an ongoing partnership with several local trucking companies. Anyone thinking about becoming a dealer of our products is encouraged to give us a call. A recurring order schedule is easy to set up and will ensure that plenty of fine quality travertine is always on hand when a contractor needs it. In the Miami area, travertine is very popular with homeowners and business property developers, and it therefore makes sense to have a good supply available, especially when the wholesale price is as low as what Stonexchange offers. Our tiles are cut and shaped to exacting standards, and installers will be pleased with the smoothness of the bottom surface. The honed variety contains small inclusions and holes, but the sides are perfectly straight. These tiles are ready for final cutting and placement, and they arrive in a sealed container or wrapped pallet, easily unloaded from the delivery truck at any location the client desires. Remember that ordering travertine tiles from a broker means a higher per-piece cost. Instead, consider doing business with Stonexchange and obtain the highest quality travertine directly from the importer. Take a moment to check out our online product gallery, and compare our product to the competition’s. Don’t hesitate to contact us for all the latest information on product types, other natural stone materials our company carries, and delivery details. We are your reliable source for wholesale priced, honed travertine tiles in the Miami area, and we look forward to serving your needs. Golden Sienna Yellow Travertine , also called Gold Travertine is tumbled tiled with a rustic finish. This earth colors travertine vein cut stone in saw cut finish give a very rough as well as modern look.